The U.S. military is increasingly embracing renewable energy, whether it be utilizing biofuel in the Air Force or creating tanks that run on hydrogen fuel cells. 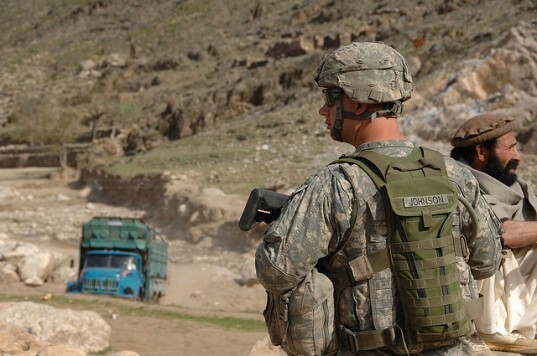 In it’s most recent effort, the U.S. Army has decided to utilise solar energy in Afghanistan — no doubt due to the high levels of sunlight, but also due to the problems of supplying troops with batteries for equipment in combat zones. Developed by the U.S. Army Research, Development and Engineering Command’s communications-electronics center, the portable solar system is known as the Rucksack Enhanced Portable Power System (REPPS) and features a 62-watt solar panel “blanket” tucked into a backpack. The equipment was reportedly deployed to Afghanistan this summer. In the past, the Marines and the Air Force developed similar systems for their troops – the Marines created solar panels that fold into a suitcase-like unit for easy transportation, while the Air Force contracted Lockheed Martin to outfit shipping containers as portable solar power units. While addressing the problem of supplying power to troops and bases in the field, the solar backpacks also aim to cut the cost of supplying fossil fuels to remote combat zones. As you’d expect, military equipment such as GPS units and radios demand a lot of energy, and as such having a renewable and sustainable source of power is of immense benefit to troops. What makes the REPPS even more convenient to troops is its weight. At only ten pounds, the REPPS is light enough for troops to carry easily, and the flexible 62-watt solar blanket easily recharges batteries in a matter of hours. Military electronic devices can also be hooked up to the solar blanket to provide them with more power, and the REPPs is able to convert AC to DC with a number of adapters that can be plugged into walls, vehicles (through the cigarette lighter) and even disposable batteries. 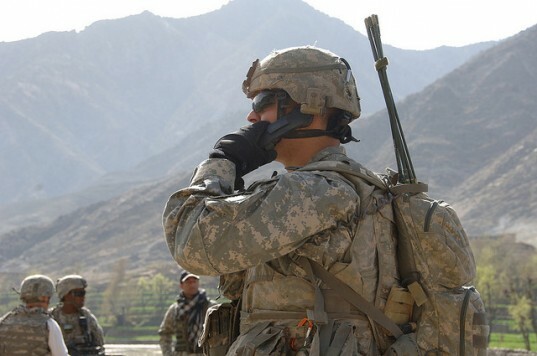 Currently it is only the 173rd Airborne Brigade Combat Team based in Logar, Afghanistan that have the REPPS, but if the system stands up to the test of field use it is possible that more units will get them in the future. FINALLY !!!! One more reason to go to war ! The U.S. military is increasingly embracing renewable energy, whether it be utilizing biofuel in the Air Force or creating tanks that run on hydrogen fuel cells. In it's most recent effort, the U.S. Army has decided to utilise solar energy in Afghanistan -- no doubt due to the high levels of sunlight, but also due to the problems of supplying troops with batteries for equipment in combat zones.